Home Career guide Part 1: We reviewed over 60 studies about what makes for a dream job. Here’s what we found. 3 What should you aim for in a dream job? 4 Should you just follow your passion? Some people imagine that the answer involves discovering their passion through a flash of insight, while others think that the key elements of their dream job are that it be easy and highly paid. We’ve reviewed two decades of research into the causes of a satisfying life and career, drawing on over 60 studies, and we didn’t find much evidence for these views. Instead, we found six key ingredients of a dream job. They don’t include income, and they aren’t as simple as “following your passion”. In fact, following your passion can lead you astray. Steve Jobs was passionate about Zen Buddhism before entering technology. Condoleezza Rice was a talented classical musician before she started studying politics. Rather, you can develop passion by doing work that you find enjoyable and meaningful. The key is to get good at something that helps other people. Watch this video or read the full article (15 minutes). If you just want the raw research, see the evidence review. The usual way people try to work out their dream job is to imagine different jobs and think about how satisfying they seem. Or they think about times they’ve felt fulfilled in the past and self-reflect about what matters most to them. If this were a normal career guide, we’d start by getting you to write out a list of what you most want from a job, like “working outdoors” and “working with ambitious people”. The best-selling career advice book of all time, What Color is Your Parachute, recommends exactly this. The hope is that, deep down, people know what they really want. However, research shows that although self-reflection is useful, it only goes so far. 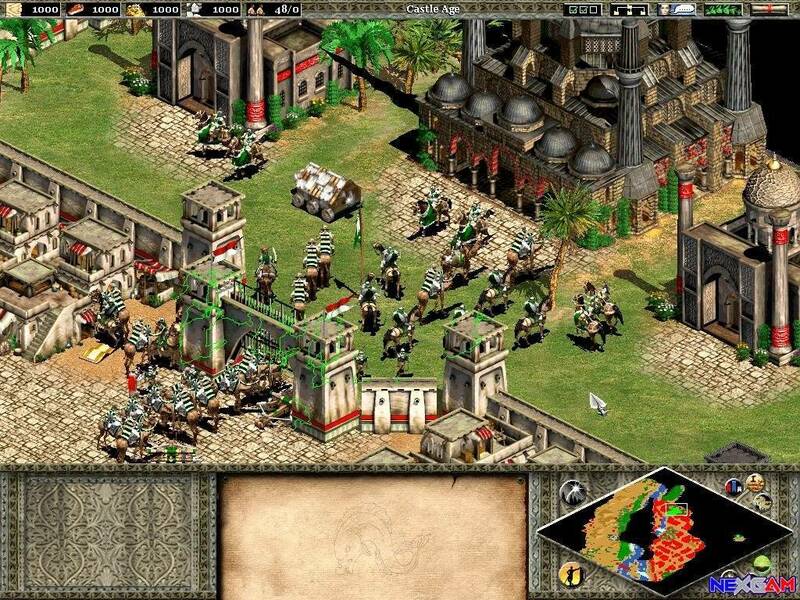 It turns out we’re even bad at remembering how satisfying different experiences were. One well-established mistake is that we tend to judge an experience mainly by its ending. If you missed your flight on the last day of an enjoyable holiday, you’ll probably remember the holiday as bad. This means we can’t just trust our intuitions; we need a more systematic way of working out which job is best for us. The same research that proves how bad we are at self-reflection can help us make more informed choices. We now have two decades of research into positive psychology – the science of happiness – as well as decades of research into motivation and job satisfaction. We’ll summarise the main lessons of this research and explain what it means for finding a fulfilling job. People often imagine that a dream job is well paid and easy. Based on this, the best job in 2015 was: actuary.3 That is, someone who uses statistics to measure and manage risks, often in the insurance industry. It’s true that actuaries are more satisfied with their jobs than average, but they’re not among the most satisfied.4 Only 36% say their work is meaningful,5 so being an actuary isn’t a particularly fulfilling career. So the Careercast list isn’t capturing everything. 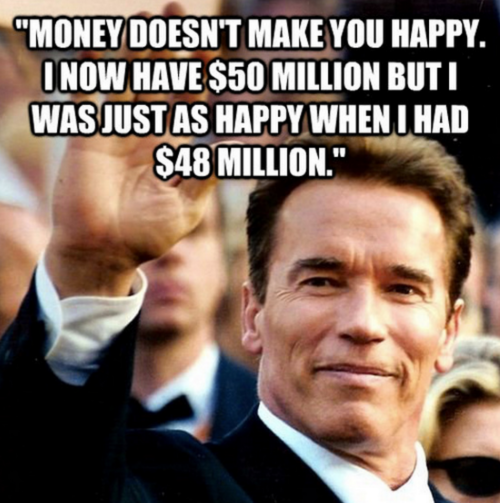 In fact, the evidence suggests that money and avoiding stress aren’t that important. It’s a cliche that “you can’t buy happiness”, but at the same time, financial security is among most people’s top career priorities6. Moreover, when people are asked what would most improve the quality of their lives, the most common answer is more money.7 What’s going on here? Which side is right? A lot of the research on this question is remarkably low quality. But several recent major studies in economics offer more clarity. We reviewed the best studies available, and the truth turns out to lie in the middle: money does make you happy, but only a little. People were asked to rate how satisfied they were with their lives on a scale from one to ten. 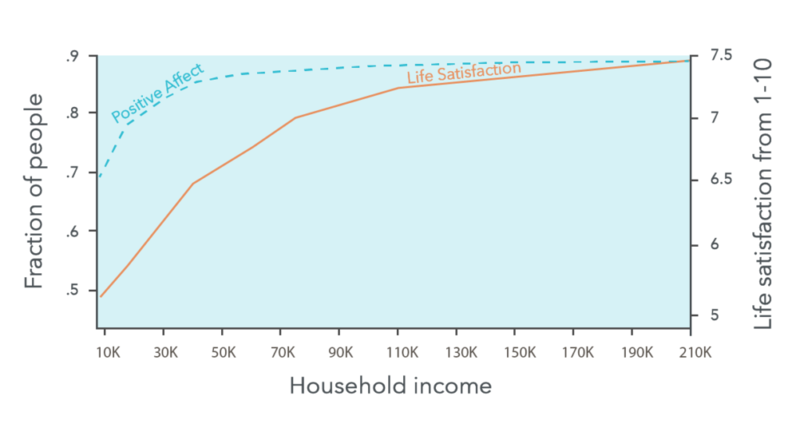 The result is shown on the right, while the bottom shows their household income. 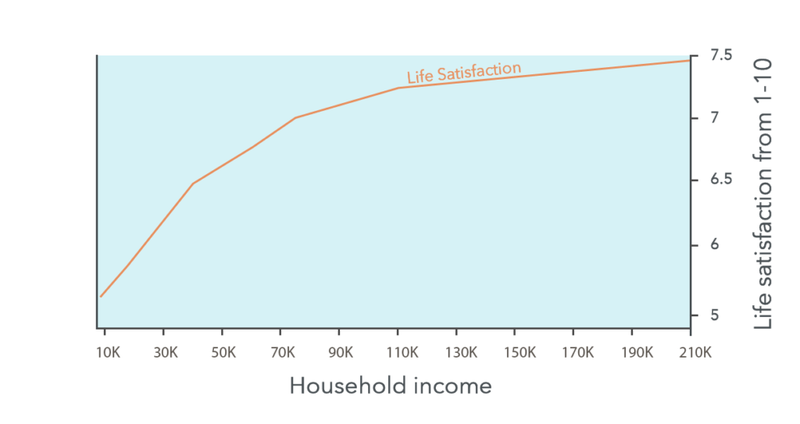 You can see that going from a (pre-tax) income of $40,000 to $80,000 is only associated with an increase in life satisfaction from about 6.5 to 7 out of 10. That’s a lot of extra income for a small increase. But that’s optimistic. If we look at day-to-day happiness, income is even less important. “Positive affect” is whether people reported feeling happy yesterday. The left shows the fraction of people who said “yes”. This line goes flat around $50,000, showing that beyond this point income had no relationship with day-to-day happiness. The picture is similar if we look at the fraction who were “not blue” or “stress free” yesterday. 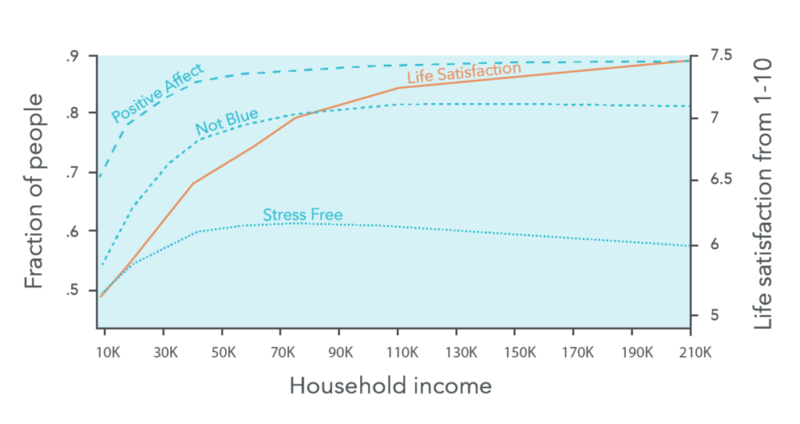 These lines are completely flat by $75,000, so beyond this point, income had no relationship with how happy, sad or stressed people felt. This is hardly surprising – we all know people who’ve gone into high earning jobs and ended up miserable. Moreover, the relationship between income and happiness under this threshold may be caused by a third factor. For example, being healthy could both make you happier and allow you to earn more. If this is true, then the effect of earning extra money will be even weaker than the correlations above suggest. The $40,000 figure was for 2009. Due to inflation, it’s more like $45,000 in 2016. Add $20,000 per dependent who does not work that you fully support. Add 50% if you live in an expensive city (e.g. NY, SF), or subtract 30% if you live somewhere cheap (e.g. rural Tennessee). You can find cost of living calculations online, like this one. Add more if you’re especially motivated by money (or subtract some if you have frugal tastes). Add 15% in order to be able to save for retirement (or however much you personally need to save in order to be able to maintain the standard of living described above). The average college graduate in the United States has recently earned about $77,000 per year over his or her working life, while the average Ivy League graduate earns over $110,000.9 The upshot is that if you’re a college graduate in the US (or a similar country), then you’ll likely end up well into the range where more income has almost no effect on your happiness. Many people tell us they want to “find a job that’s not too stressful.” And it’s true that in the past, doctors and psychologists believed that stress was always bad. However, we did a survey of the modern literature on stress, and today, the picture is a bit more complicated. This means the picture looks more like the following graph. Having a very undemanding job is bad – that’s boring. Having demands that exceed your abilities is bad too: they cause harmful stress. 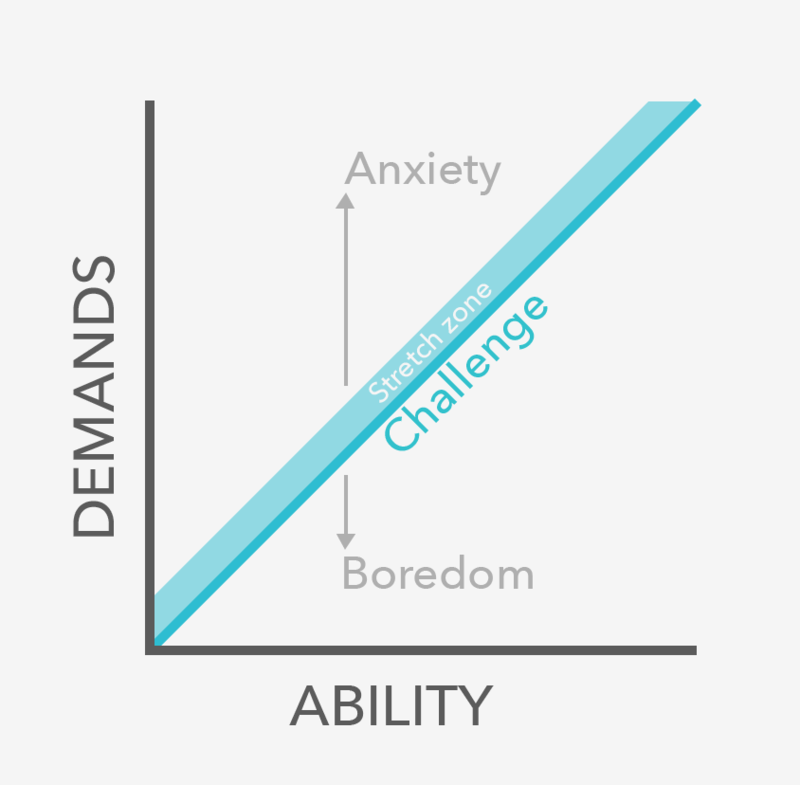 The sweet spot is where the demands placed on you match your abilities – that’s a fulfilling challenge. If you’re working on a lake and also using your laptop to look at pictures of lakes, you might need a harder job. These are the six ingredients. What really matters is not your salary, status, type of company and so on, but rather, what you do day-by-day, hour-by-hour. Each of these factors has been shown to correlate with job satisfaction in a major meta-analysis (r=0.4), and they are widely thought by experts to be the most empirically verified predictors of job satisfaction. The key difference is that the second set of jobs seem to help other people. That’s why they’re meaningful, and that’s why helping others is our second factor. There’s a growing body of evidence that helping others is a key ingredient for life satisfaction. People who volunteer are less depressed and healthier. A randomised study showed that performing a random act of kindness makes the giver happier. And a global survey found that people who donate to charity are as satisfied with their lives as those who earn twice as much. Helping others isn’t the only route to a meaningful career, but it’s widely accepted by researchers that it’s one of the most powerful. Being good at your work gives you a sense of achievement, a key ingredient of life satisfaction discovered by positive psychology. It also gives you the power to negotiate for the other components of a fulfilling job, such as the ability to work on meaningful projects, undertake engaging tasks and earn fair pay. If people value your contribution, you can ask for these conditions in return. For both reasons, skill ultimately trumps interest. Even if you love art, if you pursue it as a career but aren’t good at it, you’ll end up doing boring graphic design for companies you don’t care about. That’s not to say you should only do work you’re already good at. However, you want the potential to get good at it. Obviously, if you hate your colleagues and work for a boss from hell, you’re not going to be satisfied. Since good relationships are such an important part of having a fulfilling life, it’s important to be able to become friends with at least a couple of people at work. And this probably means working with at least a few people who are similar to you. However, you don’t need to become friends with everyone, or even like all of your colleagues. Research shows that perhaps the most important factor is whether you can get help from your colleagues when you run into problems. A major meta-analysis found “social support” was among the top predictors of job satisfaction (r=0.56). People who are disagreeable and different from yourself can be the people who’ll give you the most useful feedback, provided they care about your interests. This is because they’ll tell it like it is, and have a different perspective. Professor Adam Grant calls these people “disagreeable givers”. When we think of dream jobs, we usually focus on the role. But who you work with is almost as important. A bad boss can ruin a dream position, while even boring work can be fun if done with a friend. So when selecting a job, will you be able to make friends with some people in the workplace? And more importantly, does the culture of the workplace make it easy to get help, get feedback and work together? To be satisfied, everything above is important. But you also need the absence of things that make work unpleasant. All of the following tend to be linked to job dissatisfaction. Although these sound obvious, people often overlook them. The negative consequences of a long commute can be enough to outweigh many other positive factors. You don’t have to get all the ingredients of a fulfilling life from your job. It’s possible to find a job that pays the bills and excel in a side project; or to find a sense of meaning through philanthropy or volunteering; or to build great relationships outside of work. We’ve advised plenty of people who have done this. There are famous examples too – Einstein had his most productive year in 1905, while working as a clerk at a patent office. So this last factor is a reminder to consider how your career fits with the rest of your life. A job that fits your personal life. How can we sum this all up? Should you just follow your passion? 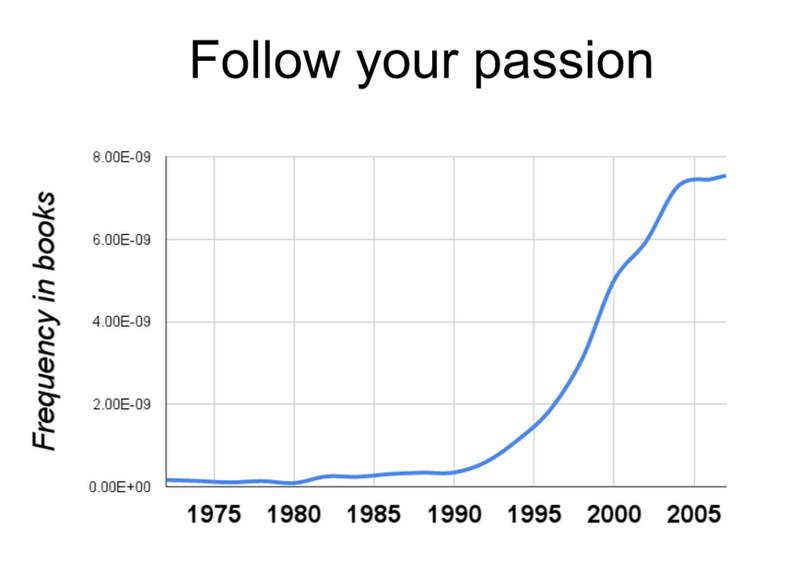 “Follow your passion” has become a defining piece of career advice. The idea is that the key to finding a great career is to identify your greatest interest – “your passion” – and pursue a career involving that interest. It’s an attractive message: just commit to your passion, and you’ll have a great career. And when we look at successful people, they are often passionate about what they do. Now, we’re fans of being passionate about your work. The research above shows that intrinsically motivating work makes people a lot happier than a big paycheck. However, there are three ways “follow your passion” can be misleading advice. One problem is that it suggests that passion is all you need. But even if you’re deeply interested in the work, if you lack the other six factors, you’ll still be unsatisfied. If a basketball fan gets a job involving basketball, but works with people they hate, receives unfair pay, or finds the work meaningless, they are still going to dislike their job. In fact, “following your passion” can make it harder to satisfy the six ingredients, because the areas you’re passionate about are likely to be the most competitive, which makes it harder to find a good job. 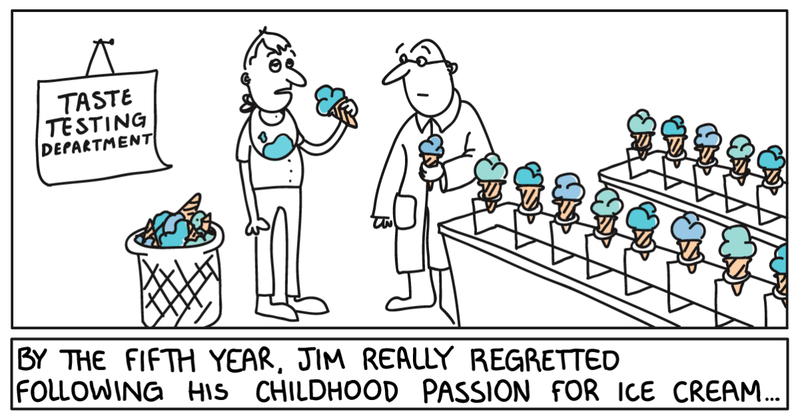 A second problem is that many people don’t feel like they have a career-relevant passion. Telling them to “follow their passion” makes them feel inadequate. If you don’t have a “passion”, don’t worry. You can still find work you’ll become passionate about. The third problem is that it can make people needlessly limit their options. If you’re interested in literature, it’s easy to think you must become a writer to have a satisfying career, and ignore other options. It’s also easy to have the idea that your “one true passion” will be immediately obvious, and eliminate options that aren’t immediately satisfying. But in fact, you can become passionate about new areas. If your work helps others, you practice to get good at it, you work on engaging tasks, and you work with people you like, then you’ll become passionate about it. The six ingredients are all about the context of the work, not the content. Ten years ago, we would never have imagined being passionate about giving career advice, but here we are, writing this article. Many successful people are passionate, but often their passion developed alongside their success, and took a long time to discover, rather than coming first. Steve Jobs started out passionate about Zen Buddhism. He got into technology as a way to make some quick cash. But as he became successful, his passion grew, until he became the most famous advocate of “doing what you love”. Steve Jobs – advocate of ‘follow your passion’ – was passionate about Zen Buddhism, western history and dance when he was young. In reality, rather than having a single passion, our interests change often, and more than we expect. Think back to what you were most interested in five years ago, and you’ll probably find that it’s pretty different from what you’re interested in today.And as we saw above, we’re bad at knowing what really makes us happy. This all means you have more options for a fulfilling career than you think. A quick aside before we go on. If you’re finding this guide useful, we’d really appreciate it if you could share the article on Facebook, and help us reach more people. Rather than “follow your passion”, our slogan for a fulfilling career is the following: get good at something that helps others. Or simply: do what contributes. We highlight “getting good”, because if you find something you’re good at that others value, you’ll have plenty of career opportunities, which gives you the best chance of finding a dream job with all the other ingredients – engaging work, good colleagues, lack of major negatives, and fit with rest of life. You can have all the other five ingredients, however, and still find your work meaningless. So you need to find a way to help others too. If you put making a valuable contribution to the world first, you’ll develop passion for what you do – you’ll become more content, ambitious and motivated. This is what we’ve found in our career advising. 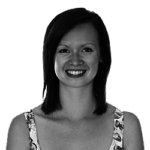 For instance, Jess was interested in philosophy as an undergraduate, and considered pursuing a PhD. The problem was that although she finds philosophy interesting, it would have been hard to make a positive impact within it. Ultimately, she thinks this would have made it unfulfilling. Instead, she switched into psychology and public policy, and is now one of the most motivated people we know. To date, over 1,000 people have made major changes to their career path by following our career advice. Many switched into a field that didn’t initially interest them, but that they believed was important for the world. After developing their skills, finding good people to work with, and the right role, they’ve become deeply satisfied. Here are two more reasons to focus on getting good at something that helps others. This sounds obvious, and there’s now empirical evidence to back it up. In the excellent book Give and Take, Professor Adam Grant argues that people with a “giving mindset” end up among the most successful. This is both because they get more help, and because they’re more motivated by a sense of purpose. One caveat is that givers also end up unsuccessful if they focus too much on others, and burn out. So you also need the other ingredients of job satisfaction we mentioned earlier, and to set limits on how much you give. What’s more, as we’ll explain in the next section, as a college graduate in a developed country today, you have an enormous opportunity to help others through your career. Ultimately, this is the real reason to focus on helping others – the fact that it’ll make you more personally fulfilled is just a bonus. To have a dream job, don’t worry too much about money and stress, and don’t endlessly self-reflect to find your one true passion. Rather, get good at something that helps others. It’s best for you, and it’s best for the world. This is the reason we set up 80,000 Hours – our mission is to help you find a career that contributes. But which jobs help people? Can one person really make much difference? That’s what we’ll answer in the next section. These six ingredients, especially helping others and getting good at your job, can act as guiding lights – they’re what to aim to find in a dream job long-term. Here are some exercises to help you start applying them. Practice using the six ingredients to make some comparisons. Pick two options you’re interested in, then score them from one to five on each factor. You can use this table. When have you been most fulfilled in the past? What did these times have in common? Imagine you just found out you’re going to die in ten years. 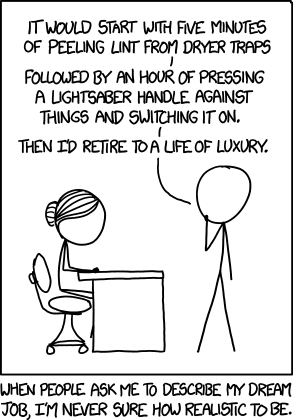 What would you spend your time doing? Can you make any of our six factors more specific? e.g. what *kinds* of people do you most like to work with? These questions should give you hints about what you find most fulfilling. Now, combine our list with your own thoughts to determine the four to eight factors that are most important to you in a dream job. When you’re comparing your options in the future, you can use this list of factors to work out which is best. Don’t expect to find an option that’s best on every dimension, rather, focus on finding the option that’s best on balance. Read next: Part 2: Which jobs really help people, and how much could you accomplish? Or order the whole guide as a book. CareerCast’s 2015 methodology is described here. Actuary was the top ranked career in 2015. A national survey by the UK’s Cabinet Office in 2014 (published by the University of Kent) found actuaries ranked 64th out of 274 job titles, putting them in the top 23%. BBC summary, Archived link, retrieved 15-April-2017. Payscale’s surveys, which cover tens of thousands of workers, found only 36% of actuaries found their work meaningful. Job satisfaction was also high at 80%, but a significant number of jobs were rated over 80%. Judge, Timothy A., et al. "The relationship between pay and job satisfaction: A meta-analysis of the literature." Journal of Vocational Behavior 77.2 (2010): 157-167. The average household in the US has 2.5 people, but of course this is just an average across a wide range of family structures. Larger households enjoy ‘economies of scale’ by sharing houses, cars, and so on. This makes it tricky to say what the equivalent of a household income is for a single individual. A single individual has an equivalence score of 1. A single extra adult adds another equivalence score of 0.5. Adding a young child to this adds an equivalence score of 0.3, while a teenager costs another 0.5. As a result a couple can achieve the same lifestyle as an individual with 50% more income; a couple with a young child can achieve the same lifestyle as an individual with 80% more income; a couple with a teenager require an income twice as high. These are approximations, but reasonable ones used by international organisations. They are described here by the UK Institute for Fiscal Studies. For the sake of simplicity we will assume that on average across their adult lives people are in a household with an adult couple and half a child. This is just an average - some people will be single, while some will be supporting multiple children, at least for some of their lives. Using this approximation means that a single individual requires about 1/1.9 = 53% as much as a typical household, averaged over their adult lives, to achieve the same standard of living. "the mean (average) earnings of those with a Bachelor’s degree is $500,000 higher than the median ($2.7 million)"
"Overall, the median lifetime earnings for all workers are $1.7 million, which is just under $42,000 per year ($20 per hour). Over a 40-year career, those who didn’t earn a high school diploma or GED are expected to bring in less than $1 million, which translates into slightly more than $24,000 a year ($11.70 per hour)." This figure was for 2011, but wages have grown since then. In Jan 2011, average wages per hour in the US were $22.85 and were $26 in Jan 2017. That’s growth of 14%, which suggests that the average college graduate now earns $77,000. This is likely an underestimate, because college graduate earnings have been growing faster than average earnings. Source: FRED Economic Data, “Average Hourly Earnings of All Employees: Total Private (CES0500000003)”, retrieved 5-Feb-2017. This growth matches inflation, which was also about 14% over the period. It's hard to find comparable data for just Ivy League grads. Payscale found a median mid-career salary of over $104,000, where mid-career is defined as over 10 years. Source, retrieved 12 Feb 2016. Our guess is that the Payscale data is too high, because people with higher incomes will be more likely to fill out the survey. On the other hand, income only peaks after 20-30 years, so the figure for 10+ years probably under-reports the overall average. Moreover, the median will be less than the mean. Overall, we’re pretty confident that the mean lifetime average for Ivy League students is over $100,000, but we’re still looking for better data. Based on payscale.com surveys of over 2.7m Americans.